Everything you need to know about content marketing for your small business or clients. 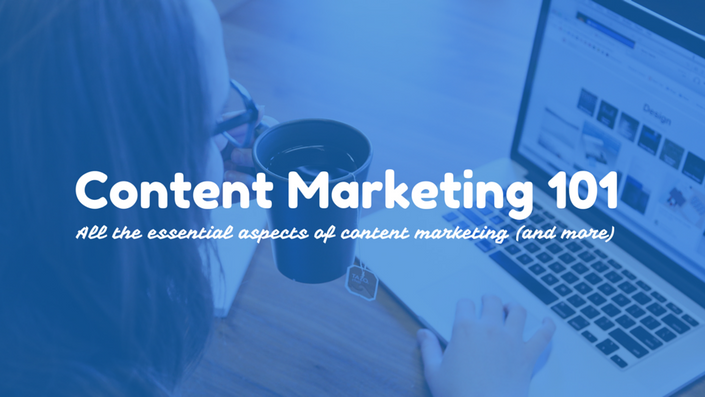 Content Marketing 101 teaches you the most important aspects of content marketing. The course goes well beyond simple concepts. It provides you with the best practices for researching, creating, distributing, and analyzing content. There are 38 lessons (most with video), 6 quizzes, bonus tutorials, downloadable resources, and access to the teacher (Miguel Bravo, founder of New Content Collective). We strongly believe that content about your brand should be the centerpiece to your digital marketing efforts. We also believe that you should have affordable access to pro-level content marketing resources. That's why we packed this course with as much value as we could. You can access this course for as long as you live (which we hope is a long, long time). We want to make sure you're getting your value from this course. If you find these lessons too advanced for you, you can request a full refund within the first 7 days. Miguel Bravo is the founder of South Florida-based content marketing company New Content Collective (NCC). Miguel is a firm believer that every small business deserves great content, and he has molded NCC's services and offerings (including this course) to reflect that.